Trump directs Department of Justice to propose regulations that would ban devices that allow semi-automatic guns to be modified. U.S. President Donald Trump said on Tuesday he has directed the Department of Justice to propose regulations that would ban bump stocks, devices that allow semi-automatic guns to be modified to shoot hundreds of rounds per minute, The Hill reported. His decision follows last week’s deadly high school shooting in Florida in which 17 people were killed. Bump stocks came to the forefront of the gun control debate after the deadly mass shooting at a Las Vegas music festival in October that left nearly 60 dead and more than 500 injured. The gunman in that incident, Stephen Paddock, allegedly used a bump stock device while firing rounds on the crowd of concert-goers from a hotel room above them. It does not appear that a bump stock device was used by Nikolas Cruz, the accused Florida shooter, nor does it appear a prohibition on the devices would have stopped that shooter. After the deadly Las Vegas shooting, Trump said he directed Attorney General Jeff Sessions to clarify whether certain bump stock devices like the once used in Las Vegas are illegal under current law. 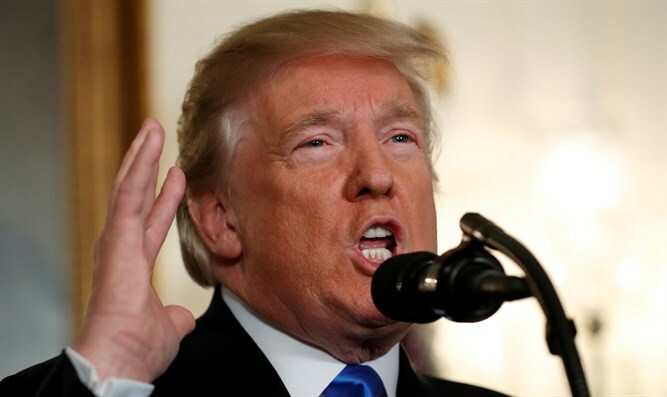 “That process began in December and just a few moments ago I signed a memorandum directing the Attorney General to propose regulations to ban all devices that turn legal weapons into machine guns,” Trump said Tuesday, according to The Hill. White House press secretary Sarah Huckabee Sanders said the president doesn't support the use of bump stocks and the White House expects further action in the coming days. There have been increased calls from Democrats and activists to tighten gun-control laws in the wake of the Florida shooting. On Saturday, Trump blasted Democrats for failing to act to strengthen gun restrictions under the Obama administration. "Just like they don’t want to solve the DACA problem, why didn’t the Democrats pass gun control legislation when they had both the House & Senate during the Obama Administration. Because they didn’t want to, and now they just talk!" Trump tweeted.